The girls were home this weekend (Aiden was too but we haven’t seen him since Friday morning! He went to his friend’s straight from school Friday, stayed all weekend and went to school with him this morning) and Ant didn’t have to work as much as he usually does so we got to spend some time leisurely time at home. 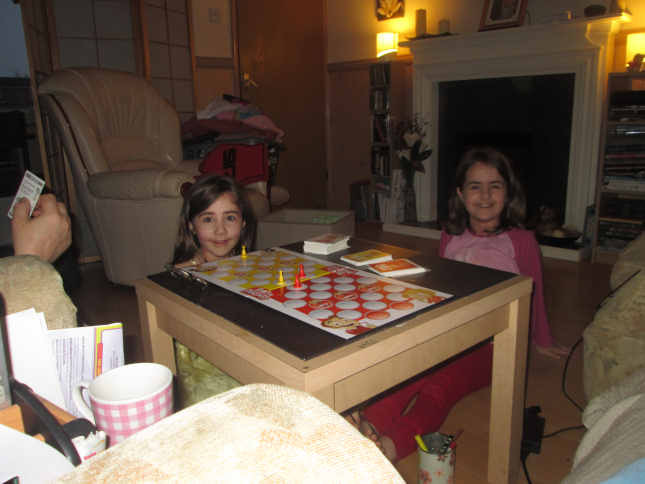 The girls played nicely together for the most part and on Saturday afternoon they asked if we’d play Beat the Parents with them. Aiden got the game for Christmas a couple of years ago and we’ve only played it once before. 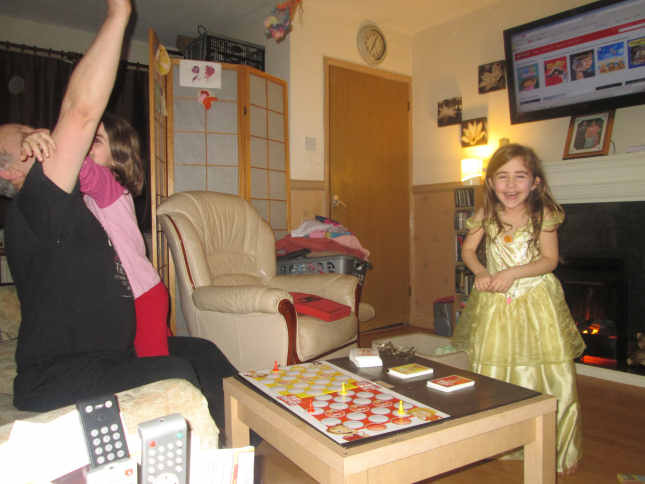 The kids beat us that time but without Aiden being home, the girls found it a bit harder this time and we won! Ant was cheering, Ella was laughing and Kaycee was trying to stop Ant from cheering and telling him he was wrong and they had, in actual fact, won the game! Look at those huge smiles! 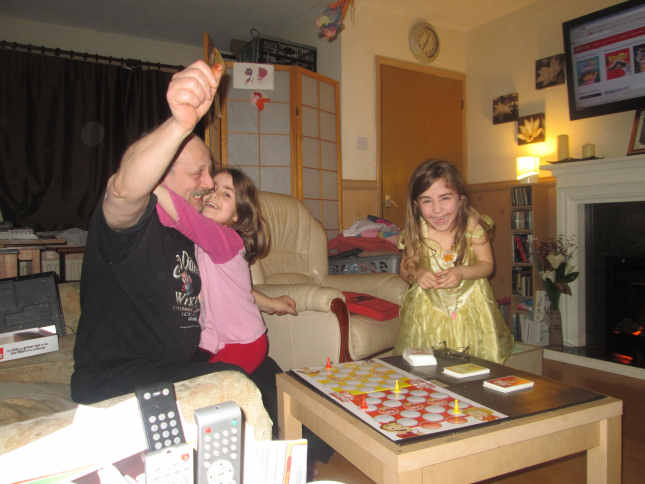 I have wonderful memories of playing boardgames with my parents when I was young. Can't wait to do the same when my boys are older.